We are now seeing the emergence of a newer (now available at a commercially affordable price) breed of solid state drives which are also known as SSD's. 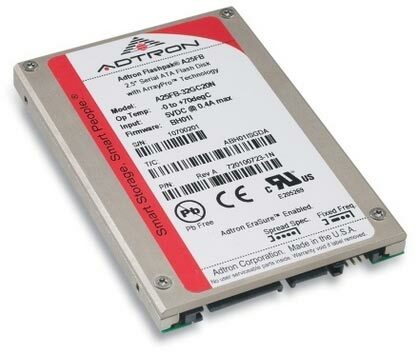 These solid state devices (example pictured) are finding their way into more and more laptops and notebooks and this is fuelling the need for solid state drive recovery. Our pioneering work with flash media recovery including memory stick recovery means that we are also able to offer SSD recovery too due to our previously gained expertise. As pioneers of the flash recovery market in the UK we are now leading the way with SSD storage. 1. Wrap the device in some form of packing agent - bubble wrap or even tissue paper will do! 2. Place the package into a padded jiffy bag or some other form of padded envelope. 4. Email us for a shipping form or call now to receive a quote and shipping form.